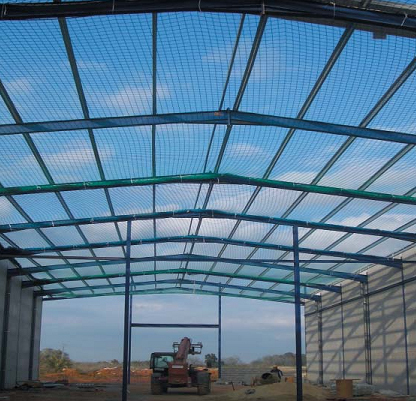 –Use: Horizontal protection (building shafts, industrial warehouses, bridges, etc.). 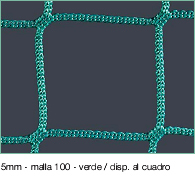 –With 30 kN border rope. 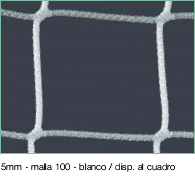 –Class A2 (Minimum breaking energy 2.3 kJ). 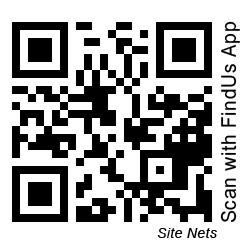 –Net:With mesh dimensions of 100×100 mm. 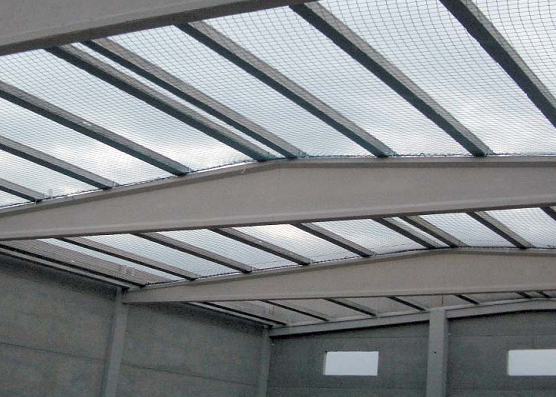 Manufactured in High Tenacity Polypropylene with anti-solar treatment or in High Tenacity Polyamide. 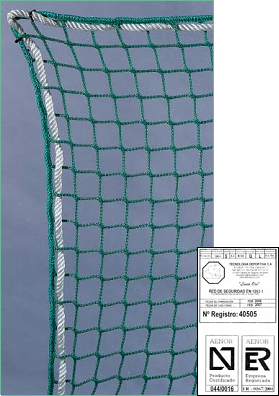 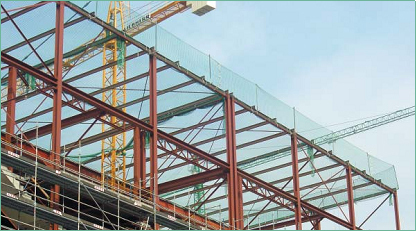 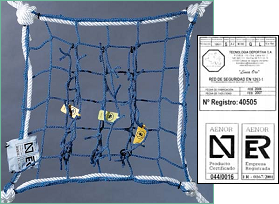 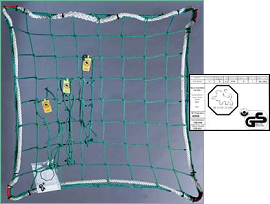 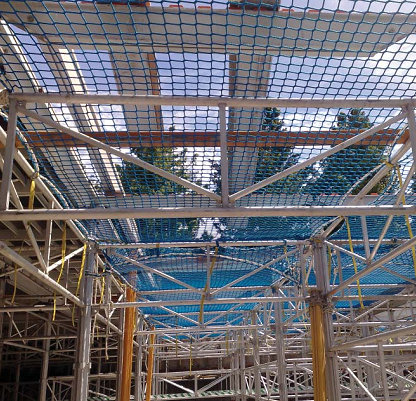 –Rope/trial mesh:Lodged in the safety net to determine the deterioration due to aging. 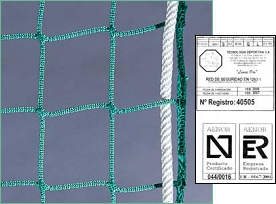 –Passed through the exterior meshes of the net and tested in accordance with the requisites indicated in the UNE EN 1263-1 standard. 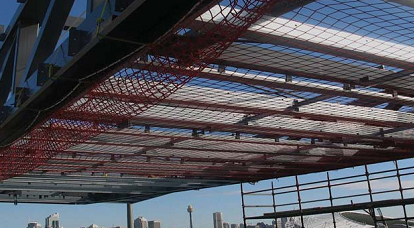 –Steel cables:Minimum break load: 50 kN. 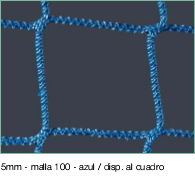 –Carabiners: Minimum break load: 20 kN.